roundness, Mourvèdre (20%) for structure. Traditional fermentation with temperature control. Long maceration for thirty days. Nursing: Eighteen months in vat. A deep red colour with black highlights. black-currant and also pepper and liquorice. tannins endowed by a nice freshness. all red meats and cold meat platters. Recommended serving temperature: around 16-18°C. Elegant long necked heavy ‘patrimoine’ bordelaise bottle. Label of the Château. Cardboard cases of 6 or 12 bottles. roundness and fruit, Roussanne and Marsanne (10% each) for complexity. Pneumatic style pressing then juice is gravity-fed into vats. Cleaned from bad lees and temperature-controlled fermentation. Naturally clarified by gravity. No fining. Pale yellow colour with golden and greenish glints. by a nice freshness giving balance. all fish and white meat dishes as well as fresh cheese. Also excellent as an apéritif. Recommended serving temperature: around 12-14°C. Château Rivière le Haut is located on the sea-side of the exclusive mountain of La Clape, a nature conservation area on the shores of the Mediterranean in the Languedoc, South of France. The vineyard is planted in limestone screes bringing minerality to the wines. 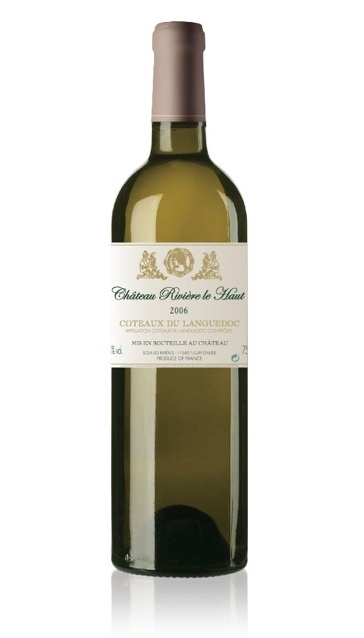 It also benefits from the sunny weather of the South of France for good maturity of the grapes and cool breeze coming from the sea for balance. 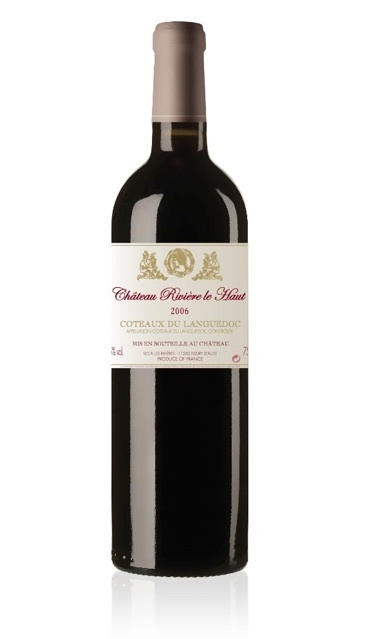 The estate is owned and the wines made by former Château Lafite Rothschild winemaker Eric Fabre with environmentally responsible practices according to ASCERT charter. Thanks to this terroir and a delicate vinification, Eric Fabre crafts smooth and elegant wines.